Home » Beauty » What is the best way to treat dry skin? The dryness of the skin is a fairly common problem, which surely you have experienced in some area of ​​your body. We all have a particular skin type. Some experience oily skin in the so-called “T” area and dry skin on the rest of the face. Others must deal with dryness in the belly, elbows and knees while their face is oily. Identifying the characteristics of your skin is vital to give it the necessary care. Even if you think you know your skin perfectly, take some time to detect the areas that are most prone to dryness and which are free of this problem. Then, follow the recommendations that we will share below. You will find that they are simpler than you thought. It is advisable to drink at least 2 liters of water per day. This is a very widespread recommendation, but it is not always adequate. If your lifestyle demands that you exercise a lot , spend many hours under the sun or, in some way, make you dehydrate; It is likely that 2 liters of water are not enough. If you identify with the above, try increasing the daily consumption of this precious liquid. After a couple of days, you should notice improvements. In this case, try to increase the consumption of water permanently and pay attention to your body whenever you feel it dry. Aloe vera is one of the best ingredients in cosmetics and alternative remedies. In the case of the skin, this gel helps fight sunburn and dry skin. To take advantage of the properties of this wonderful product, we recommend that you apply it directly to dry skin. You can use it as a substitute for the usual creams, which in theory should be hydrating you. If the dryness appears on your legs or armpits after shaving with a razor, try applying aloe vera before shaving . In this way, it will act as a previous hydrant and facilitate shaving. When finished, rinse and enjoy your hydrated skin. ¼ liter of base cream. 100 ml of aloe vera gel. 25 ml of almond oil. Apply it as your usual cream. This cream is very economical and you can add an aroma with 5 ml of the essential oil of your preference. You can find the base cream in any large pharmacy or store of cosmetic products in bulk. It is one that has no aroma or color and is usually quite cheap. 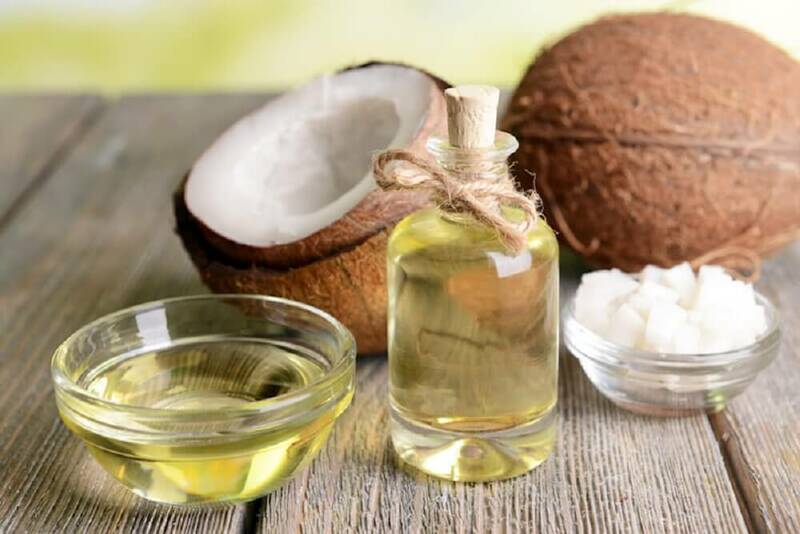 Coconut oil is another ingredient that has taken great relevance in recent years. Every day we know more about its benefits, so the cosmetic industry is paying close attention. This is a simple and very economical remedy to combat the dryness of the skin. The easiest is to use coconut oil naturally. For this, just take a little oil, rub it between your hands and apply it. 15 ml of coconut oil. Place the jar in the refrigerator for about 30 minutes. Fill the bottle with coconut oil to the edge or a few millimeters below. Remove from the bottle once it is cold. Use it as many times as you need. We recommend that the bottle you choose have a screw cap, since the oil can melt with heat. It is essential to take it well covered, to avoid damage to your bag. The glycerin is one of the best ingredients to combat skin taut. With this you will get a more than soft skin, and for a minimum investment. Simply buy a little glycerin in your nearest supermarket. But make sure, reading the label, that you do not have extra colorants. You can apply glycerin as many times as you want. At the beginning, you may need to apply it once every two hours. Afterwards, you can decrease the number of times. Of these 4 ideas to treat the dryness of the skin, which one do you choose? As you can see, you have some good options. Always remember to start drinking more water. Then, complement with your favorite idea. And something very important, avoid using the last three ideas in areas where you have oily skin. A humidifier will help the condition of your dry skin improve faster by keeping more moisture in the air, so you can keep your humidifier on during the day and night because the air conditioner will quickly dry out your skin during winter and summer . Dry skin can easily develop eczema and other conditions harmful to your skin if you continually scratch in places where you feel itching or irritation, you’d better use shea nut butter or coconut oil to soothe your itching. Previous Post Why is my skin oily even though I drink a lot of water in a day? Next Post What are some natural ways of getting rid of wrinkles?